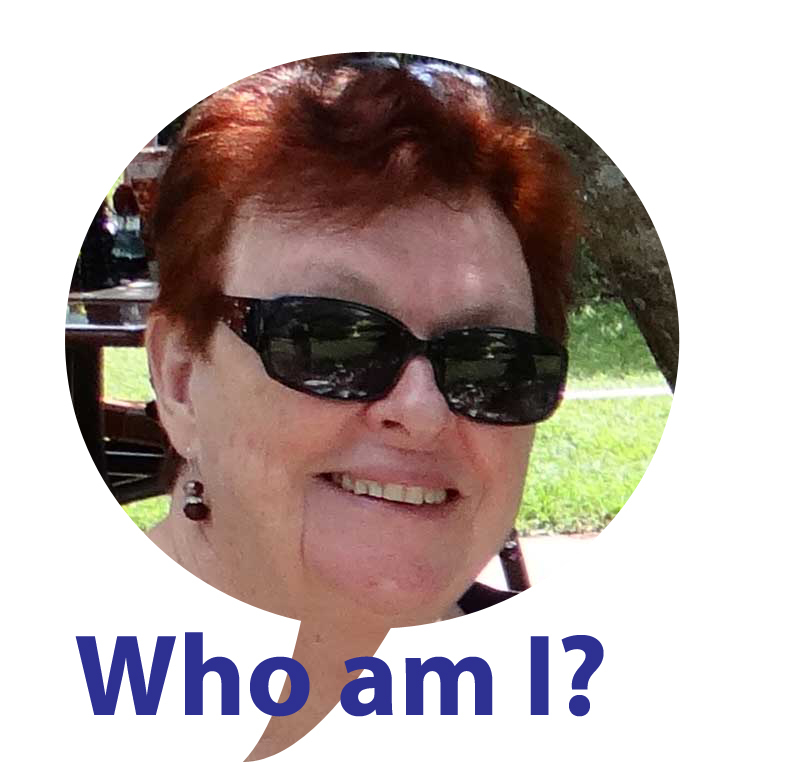 The Book of Me: Prompt 1: Who am I? On a day to day basis we rarely reflect on who we are, only responding to specific enquiries from those we meet for the first time “where do you live?” or “what do you do?”. To each enquiry we are likely to answer in slightly different ways, perhaps not wishing to disclose too much detail to strangers, or adapting our responses to what their other level of knowledge is. Do they know Brisbane? In which case I may name a suburb and school. Do they know Australia? In which case I may say I come from Queensland but live in the Northern Territory. These enquiry-responsive answers are equally worth reflecting on in our ancestor’s lives and documentary responses. Only over time do we reveal the weft and weave of our lives to selected and trusted friends, and oft-times the information slips out sideways in other conversations, so it seems quite confronting to tackle Julie’s first prompt in the Book of Me head-on. Prompt 1 suggests we ask ourself the question “Who am I” at least 20 times, or more if we feel so inclined. I’ve been ambivalent about responding to this prompt publicly, and will probably add other comments to my private post, but ultimately I realised regular readers of my blog will have deduced virtually all of these “who am I” answers. Over the years I have had many roles and experienced many things, not all of which may be current today but which have intrinsically influenced who I am today. I am a wife, mother of three adult daughters and also grandmother of three. I don’t plan to go on about this here but family underpins my life and none of it is taken for granted. I am a daughter, an only child and, on my paternal side, an only grandchild to my grandparents who lived next door. Not surprisingly I don’t really “get” sibling relationships except mainly as observed in my own children. I had few aunts and uncles, all of whom are now deceased. I also have few cousins, two of whom are now dead and two I wouldn’t even recognise as they have always lived far away. I am a feminist. 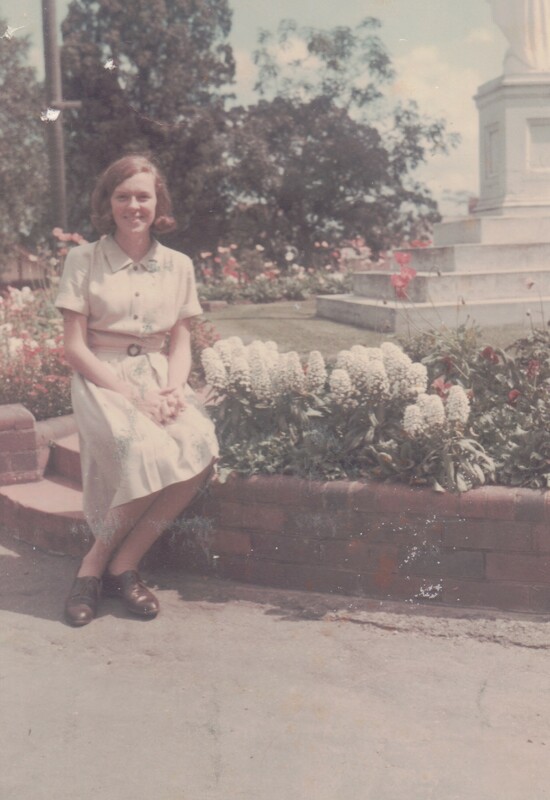 As a teenager in the 60s my experiences were very much affected by the emerging wave of feminism, which slowly worked to give women equal opportunities and to be able to use their talents in the formal workplace as well as in the home. Those vastly different working conditions have slowly changed over the decades and I like to think that it helped make my daughters’ choices wider and more possible. I am a friend and I have a cluster of really good friends. I’ve never been one to have many friends, rather a few close trusted friends who know and accept my strengths and weaknesses. I’ve been surprised to find that some of my blogging mates have become friends as well – perhaps not that really surprising when we get to know so much about each other. I am intrigued by migration. As a young girl my school absorbed a large number of post-WWII migrants and ever since I’ve been fascinated by where people come from and why. This curiosity also guides some of my research questions. I am an Australian. Not in a card-carrying, flag-waving, heart-crossed kind of way, but in my love of our nation’s wide open spaces, its huge blue skies, its flora and in a small-i indigenous love of “place”. I don’t agree with everything our nation does or says any more than I always agree with friends or family. Sometimes I’m even ashamed of our behaviour in the world. I did occasionally change my hair, and look demure. I am no longer regard myself as a Catholic but for much of my life Catholicism played a huge role in my life. It has fundamentally affected how I see the world both in a positive and negative way. Religious divisions were a thread (or threat?) to be reckoned with. I came to my teenage years on the wave of John XXIII’s ecumenical movement which again formed how I saw the world, and responded to it. I am an All Hallows’ “girl”. The high school I attended so intrinsically affected who I am and how I’ve approached my life that it has to be mentioned here, and I’ve written about it in other posts. Funnily enough my earliest family history collaborators were both past pupils of the same school, though then geographically remote, and a generation older than me. I am a University of Queensland alumni, both staff and student. I have been in love with the place since I first visited as a teenager and spent many years of my life there one way and another. As a research administrator I had the opportunity to work in and across a number of universities. I am a travel-tragic. This is a no-brainer to anyone who reads my Tropical Territory blog. Actually I might be just a tourist, not a traveller, but either way I relish the opportunity to see the world’s places and people and even though we’ve been fortunate to go many places we’ve only scratched the surface. Luckily for me Mr Cassmob is also a travel-fiend. Growing up working class before the era of cheaper travel it never occurred to me that I’d have these kind of opportunities so I’m eternally grateful. I am a photographer. I have no skills as an artist but I have always loved to take photos. This is how I record the places I see and the people and events in my life: a photographic diary. I am an obsessive family historian. I’ve been researching now for over 27 years (hard to believe) and there’s always more to unearth about my ancestors’ lives. I can equally happily help my friends with their genealogy as well. I like to combine family and local history. I am a writer and a blogger. I never really thought of myself as a writer until I got deeply enmeshed with family history but now I’ve written the stories of a few of my families as well as their emigrating peers, and I’ve published one family history. My blogging allows me to share my writing, family history and photography passions. I am a micro-migrant. Although I’ve never lived far from my origin, I’ve uprooted my life twice, once as a young adult to Papua New Guinea and once, much later, to the Northern Territory. I know people do this all the time, but when you consider it requires settling to new places and building new relationships it takes some effort while being a very pale shadow of true migration. I am a life-long learner and inspired by new ideas. Although my career focused on the practical and here-and-now, I’ve always wanted to see how things can be done better, and liked to acquire new skills and knowledge. Even though I’m now retired I find that blogging and family history research offer innumerable opportunities to continue to learn daily. I (mostly) love learning more about new technology and enjoy using it. 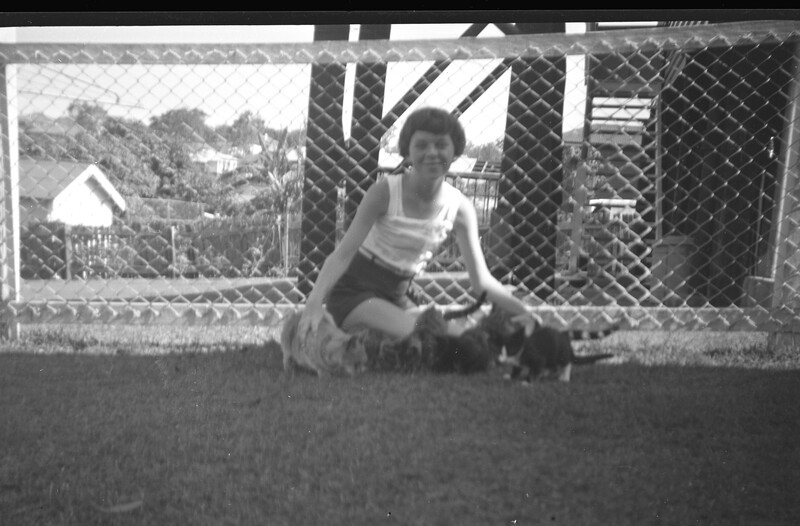 I got my love of cats from my Dad, along with my love of reading. I am a lover of animals and a complete cat obsessive. Although I love most animals (hmmm, not snakes), cats are my true love and my life just wouldn’t be complete without one. I am in love with nature and the wonders of the natural world. I’m not a “twitcher” but the sighting of a bird or hearing its song can make my day. I am a huge fan of gardens and flowers, and luckily for me, so is Mr Cassmob. Really can you ever have too many plants? I am a book-addict. As a child I could never get enough books to satisfy me: a good birthday or Christmas was one with a book present. “Be careful what you wish for” they say, because now bookcases threaten to overtake the house. I am a lover of a wide variety of music except very modern genres. I am not a shopper…I don’t have the “girl gene” and can’t do “shop till you drop” but you can lose me in bookshops, computer shops, garden nurseries or hardware stores. I am not into fashion at all, but I love house design books and magazines and love to tweak our “nest”, and particularly love art and tactile arts. I am a sometimes-crafter, former maker of family clothes, and occasional follower of whims hence why I’ve been learning glass-bead making. I am a human being with my own unique personality, flawed like everyone else, but always trying to do my best, succeed or fail. 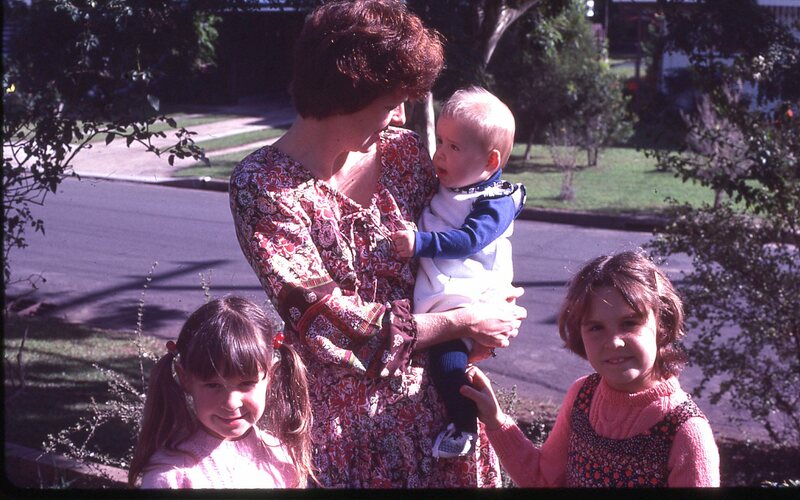 This entry was posted in Book of Me, Family History and tagged Book of Me, Prompt 1 by cassmob. Bookmark the permalink. Love it! Love the tone and simplistic yet data filled responses. I am really delighted you are taking part! Thanks Julie! You are very kind. I missed you when you were gone! Nice description of yourself and I see we share many similarities. I did too Kristin, which is what makes the geneablogging world so wonderful! Oh for us all to be in the same place at the same time Julie, Kristin, Jill and so many others of my blogging mates. Wouldn’t it be great to just be able to chat over a coffee/tea/whatever Kristian? We’d have so much to talk about. Thanks to Mr Google we can! we supply out own refreshment & have a hangout! The wonders of technology spanning those miles & time zones! Sounds good Julie, it would be great to hang out together, however virtually. A beautiful blog post as you write with such perception, sincerity and thoughtfulness. . .
Susan, I think your comments are very generous and I appreciate your time. Another thoughtful piece, thaks Pauleen. I can’t believe how many of our responses are similar. Family person, only child, book lover, Catholic schoolgirl, tech tragic, traveller, photographer, garden lover etc. I’m about to start doing hangouts on air. Hope you’ll be able to join in. Sounds good -though not so sure about “on air”. Let me know Jill when you’re doing them.